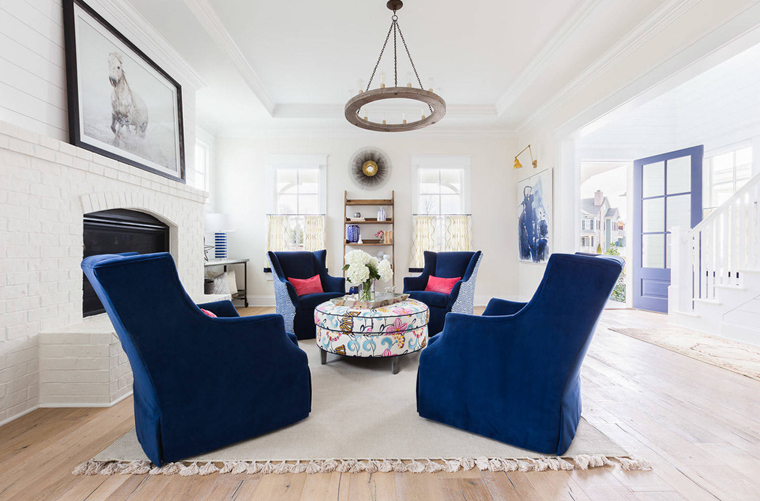 I’m telling you guys, it was love and first sight when I laid eyes on this beautiful Franklin, Tennessee home by talented Nashville-based interior designer Andria Fromm! 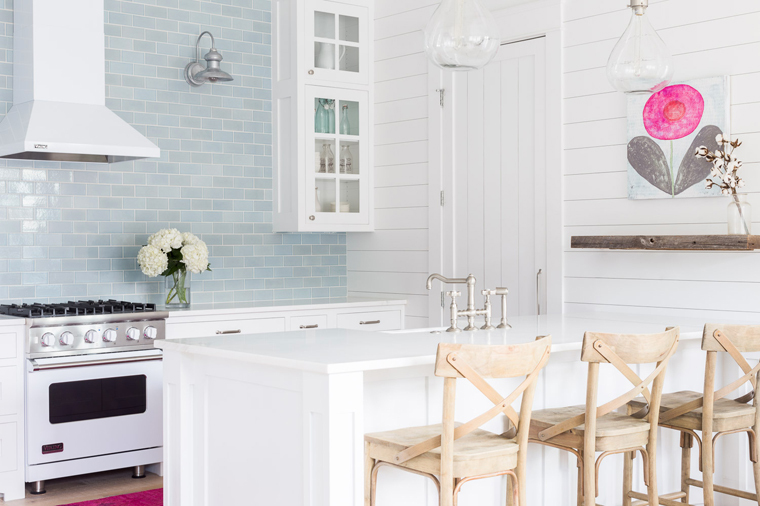 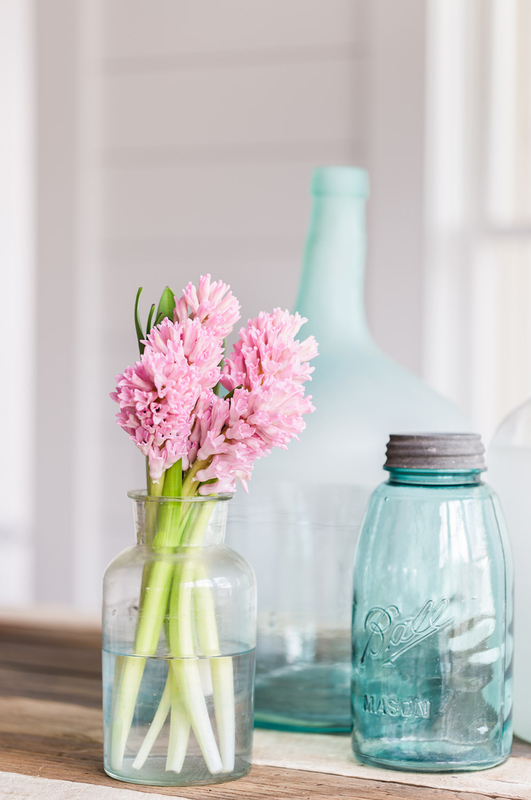 Captured by photographer Alyssa Rosenheck, the fresh farmhouse-style home is filled with a classic blue-and-white palette with splashes of pink that make it unforgettable! 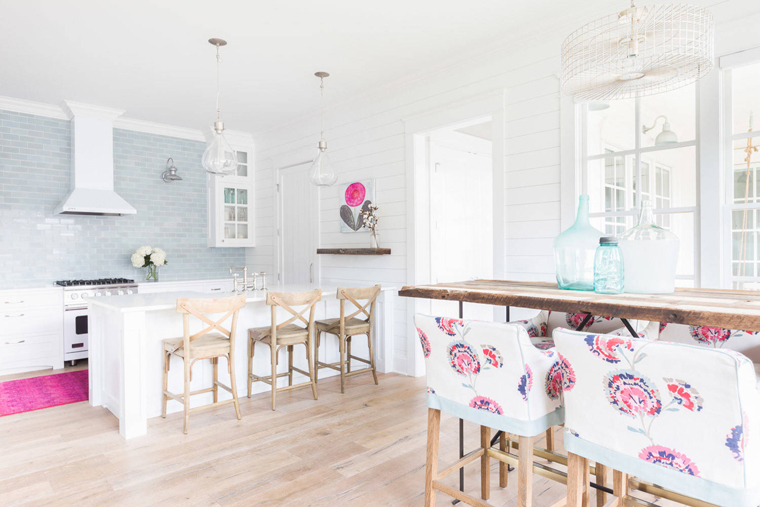 I’m really loving the rustic wood elements (the white oak floors are gorgeous! 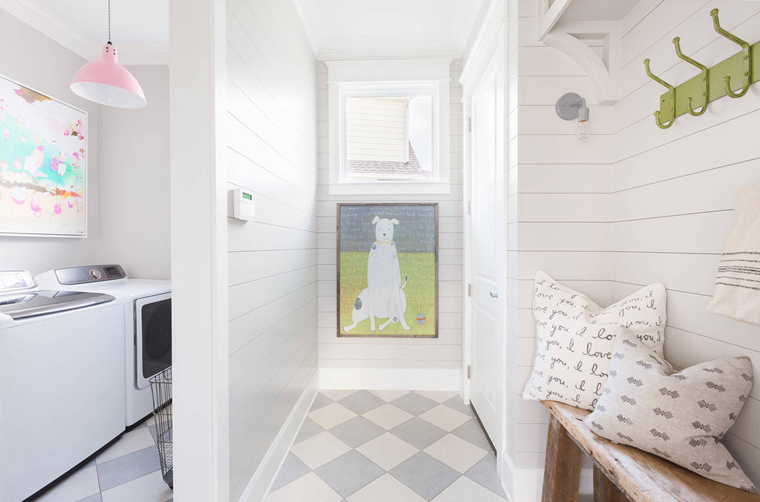 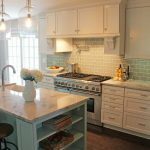 ), shimmery subway tile backsplash, and crisp white shiplap. 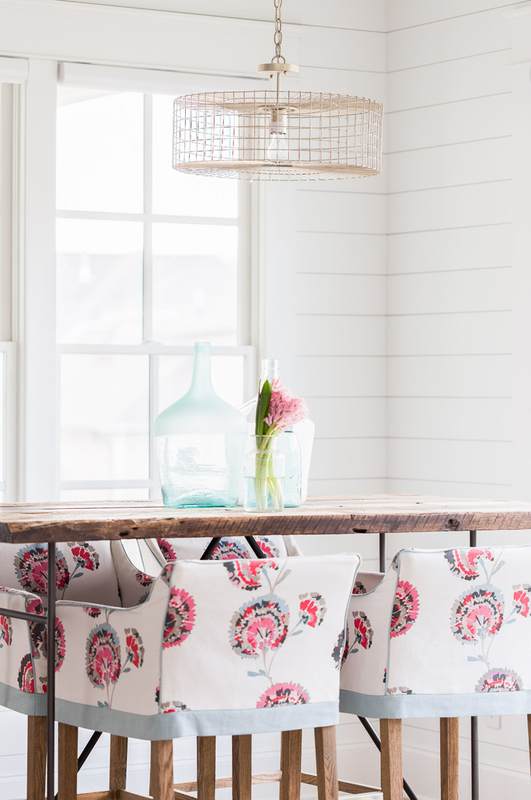 The slipcovered dining chairs might be my favorite though…love that Romo floral print so much! 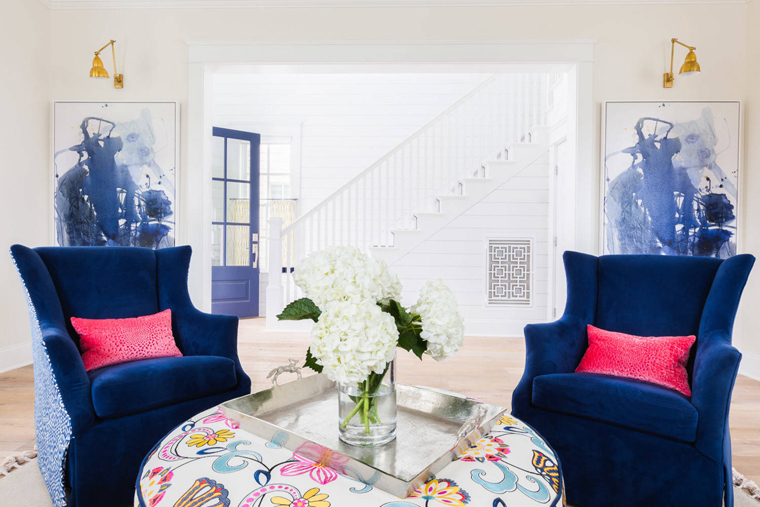 The homeowner loves fun color, especially blue and pink, so the designer used those colors throughout most of the home. 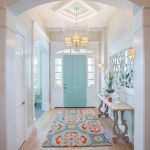 She also wanted the house to feel “happy”…the designer definitely accomplished that! 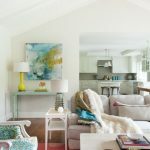 You can see more of this home, as well as other inspiring spaces by Andria Fromm right over here. 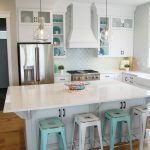 And be sure to follow her on Instagram for even more design eye candy! 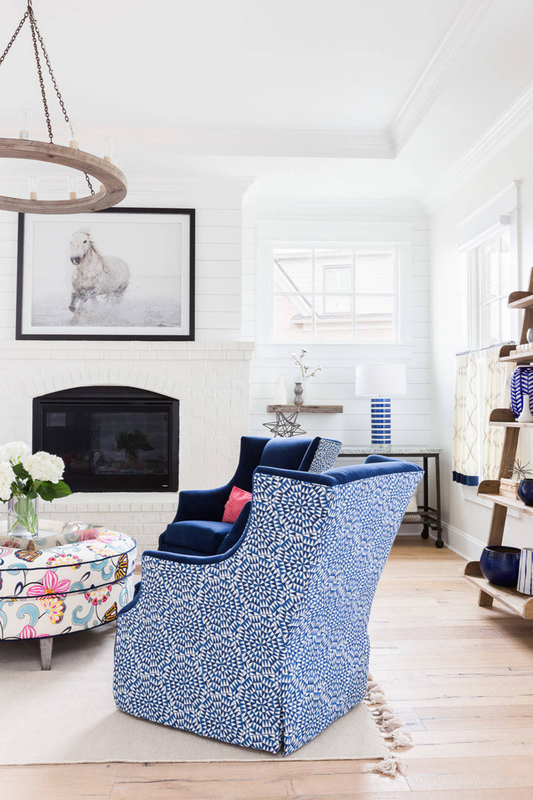 Fabulous home, I am lovin it!